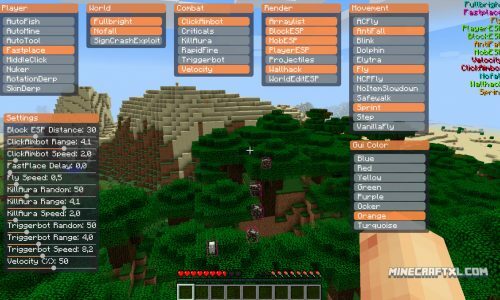 Minecraft multiplayer cheats, hacks and hacked clients. 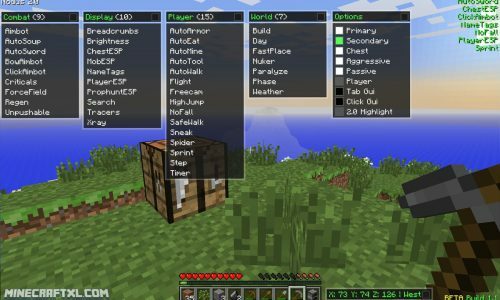 Download and explore the newest hacks and hacked Minecraft clients for multiplayer, SMP servers etc. Most cheats and hacks features fly, wallhack, esp, PvP hack, X-Ray, fullbright, speedmine and many other features. Please note, that using hacks is at own risk. You risk getting banned from servers. 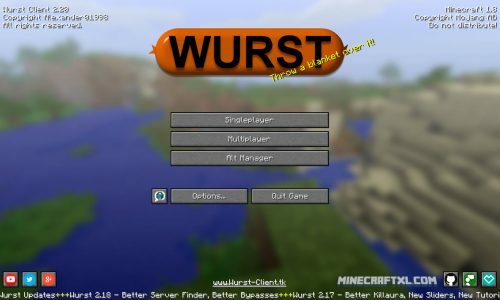 We have stopped posting new hacked clients, instead you should check out Minecraft Hacks.